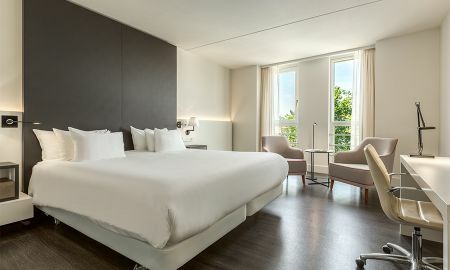 Expertly converted from several 17th-century town houses and a 15th-century chapel, the 5-star NH Collection Amsterdam Barbizon Palace hotel treasures a unique piece of history. The 300-year heritage is expressed through original features skilfully retained during its renovation and development. 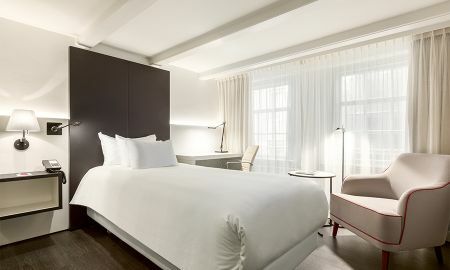 The 274 bright, contemporary rooms are spread across six floors, many commanding a view over the city. Each abode is sleek and contemporary to provide true luxury. Enjoy a peaceful night’s sleep amidst deluxe amenities and an environment that evokes the romance of the past. In selected accommodation, find traces of the hotel’s historical architecture, including exposed wooden beams and arched ceilings, while some even have in-room staircases which create an intriguing split-level effect. Every morning the breakfast buffet is a mouth-watering spread of dishes packed with local flavour as well as international favourites. Ensuring a balanced, healthy start to the day, the scrumptious buffet includes a wide variety of fresh fruit juices, pastries, cold cuts, cheeses, fruit, yogurt, breads and much more. The crowning glory when it comes to fine dining is the establishment’s Michelin-starred Restaurant Vermeer. The chef’s exquisite dishes, created using seasonal produce sourced from the roof garden, are perfectly complemented by the selections of exquisite wine from the expert sommelier. For a pre-dinner cocktail or a quiet nightcap, the cosy Bar Mar-Dique boasts an exemplary range of wines, spirits and cocktails, as well as light bites, making it an excellent stop to wind down after a long day. The private dock is the starting point for boat tours and even a floating dining experience, which can be arranged on request. Within the hotel, the fitness room contains all the necessary equipment for a workout, including cardio machines and weights. Afterwards take advantage of the sauna, the perfect place to recuperate. 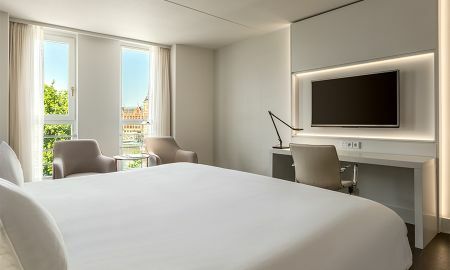 In the very heart of Amsterdam’s old quarter, the NH Collection Amsterdam Barbizon Palace hotel is situated near the city’s key attractions. 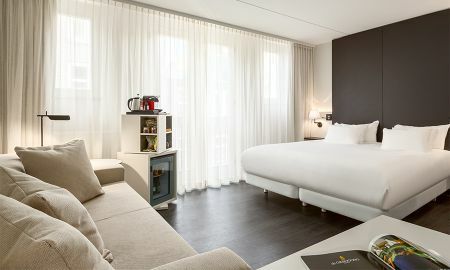 Just a 3-minute walk from Amsterdam Central train station, Dam Square is a 9-minute walk from this polished property. The Van Gogh Museum is 3 km away, while Amsterdam Airport Schiphol is located 16 km away.